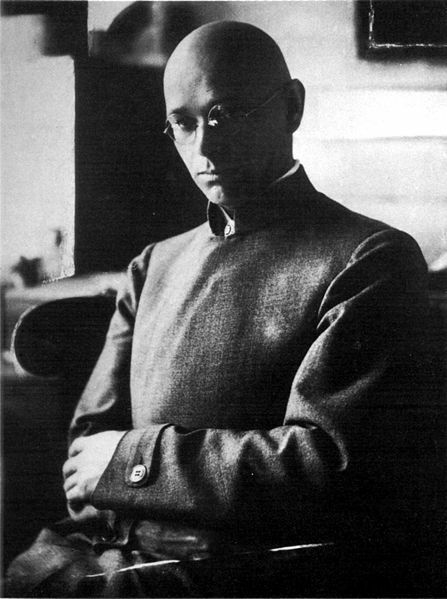 Johannes Itten (1888 - 1967) was an influential colour theorist and teacher, posted at the Weimar Bauhaus between 1919 and 1922. Inspired by the ideas of Friedrich Fröbel and his exposure to psychoanalysis, Itten adopted techniques such as undertaking gymnastic exercises in order to prepare and relax for a class. He also refused to correct students on individual basis for fear of stifling their creative impulse, instead preferring to address general errors on a class-wide basis. Itten left the Bauhaus in 1923 after a rift grew between him and founder Walter Gropius over Itten's introverted spiritualism against the industrialism of the latter. His treatise The Art of Colour, published in 1960, remains influential today; to artists, designers and also the cosmetics industry where his concept of 'seasonal colour' is still employed. 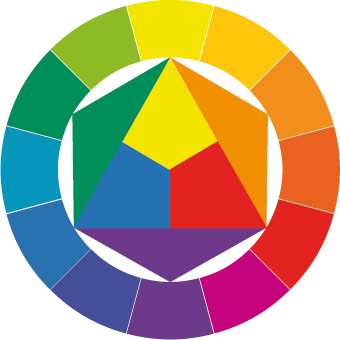 Analysing colour in terms of subjective feelings against objective clour, Itten strove to explore the problems of the visual, emotional and symbolic natures of colour. Itten once stated: "Colour is life, for a world without colour seems dead. As a flame produces light, light produces colour. As intonation lends colour to the spoken word, colour lends spiritually realized sound to form."